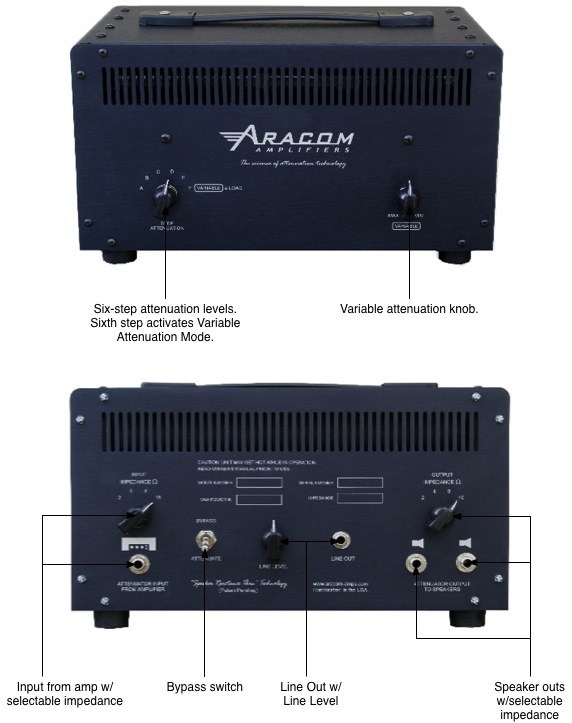 Sonically, the Aracom PRX 150-Pro attenuator stayed very true to every amp I paired it with. My tone stayed stable as I lowered the dB level to its minimum amount (the variable control doesn’t turn the sound completely off). Even super-quiet bedroom settings sounded very good and responded to picking and touch extremely well. This attractive, sturdily built unit would be a great addition to any guitarist’s tone arsenal. PG gave it a 4 out of 5 picks which, for them is a great rating. I’m so happy for Jeff Aragaki that he was able to get a major guitar mag like PG to do a review on the unit. And the reviewer’s positive feedback just affirms what those of us who have one know: No other attenuator maintains the feel and dynamics of our amps at any attenuation level. With all the talk you do about these attenuators I really want to get one and see what my amp can do. I can barely get the master beyond 10 o’clock when the wife is home and even when she is out I personally cannot get it above 12. I love ’em, and it has taken quite awhile to find one that retains my tone and dynamics down to quiet levels. I had the Dr. Z, which was great for knocking down the volume around 6-9 dB. But beyond that, it was like blanket was thrown over my tone. Same with all the others I tried: UA, HotPlate, Sequis, etc. The Aracom has been the only attenuator that doesn’t kill my tone and dynamics. It’s not cheap at $649, but it is worth every penny! I had recently picked up the Egnater Renegade and that has a feature where you can completely bypass the effects loop. I was very surprised to find out how half of my pedals sucked my tone. I really would like to be able to crank the amp and hear the difference. I’ll have to start saving my pennies.